We are running a clearance sale for Portal 2! We are offering a full steam download code for portal 2 for just £18.99 each! That means you can enter the code into Steam which will then grant you to a full digital download of the game. The codes are photographs taken from original sealed retail boxes! The code will be delivered to you instantly after your payment using our online digital delivery system! The portal 2 product key will allow you to activate on steam, and download the game! Then you can play on both single player and co-op portal 2! It’s a great game, and at just £18.99, why not start thinking with portals now?! You can buy Portal 2 Steam Download at just £18.99 at CJS CD Keys by CLICKING HERE! All of our prices are well below retail prices! So you can get Steam download games at over 70% off retail price! Here is a guide on how to play custom MAPS in Portal 2 (until Valve give us an easier way). I will cover both Single Player and CO OP mode. Remember that its always the host who needs to enter any console commands so they will need to enable developer console. 1) Download the chamber to your desktop. *note you only need to enter the first few letters and the map name will appear in the suggestion dialouge, press the down arrow key and it will fill the rest of the name in for you. The chamber will now load. 1) Both players download the chamber to your desktops. Find this article useful? Please link to it! 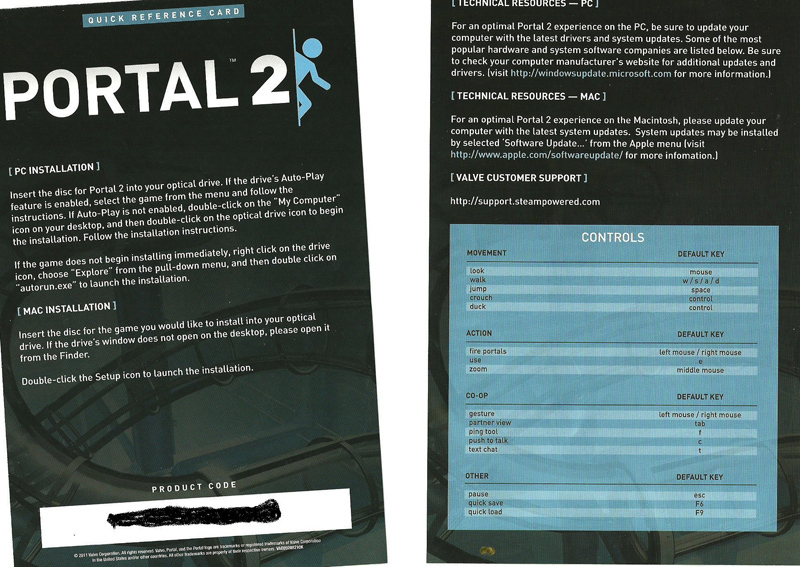 CJS CD Keys now have Portal 2 available for just £24.99 for a genuine EU scanned activation code! THIS GAME WILL ARRIVE READY FOR DELIVERY ON RELEASE DAY! Our portal 2 serials are literally the best price on the internet! So buy today!